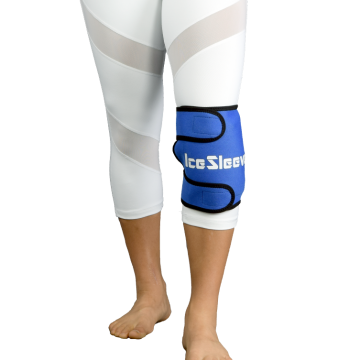 The knee ice wrap can be used for heat or cold therapy. The medium size is for icing or heating the patella region, the large size wraps around the sides of the knee for additional coverage. 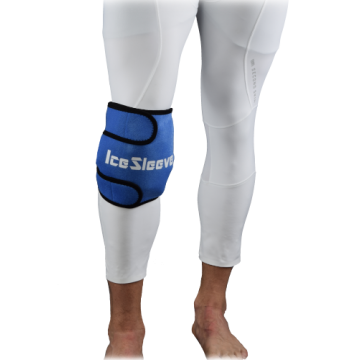 The large IceSleeve knee ice wrap is ergonomically designed to provide heat or cold therapy to the f.. 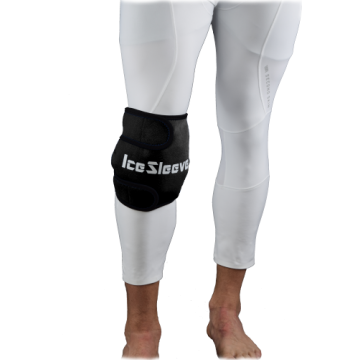 The medium knee ice wrap is designed to provide soothing relief for knee pain in the patell..